Pipe Repair – From the smallest pipe to the largest For the fast repair of leaks – just dip the resin-soaked fibreglass bandage into water and wrap. 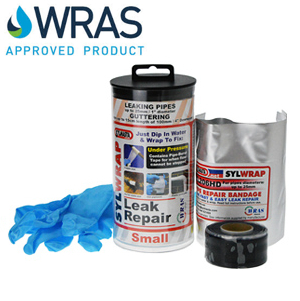 SylWrap is a fibreglass tape with a water-activated resin which sets rock hard in minutes for a high strength, permanent repair. It works on all sizes of pipe to seal leaks, strengthen and protect corroded pipes. 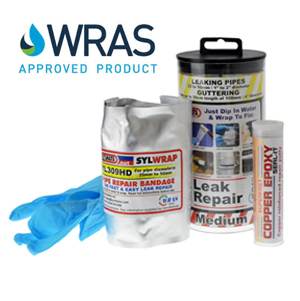 Sylwrap has been used extensively in industry to repair leaks and damage to pipe work made from materials such as GRP, steel, iron and copper.